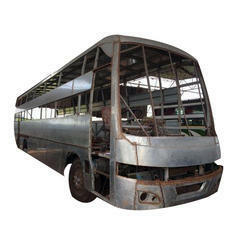 Backed by our skilled professionals, we are involved in providing Vehicle Body Fabrication Service. Keeping in mind the various requirements of the customers, we are involved in providing Fabrication Service. 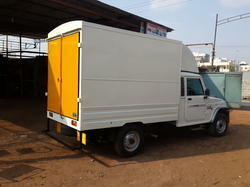 We bring forth vast industrial experience and expertise in this business, involved in offering a high-quality range of Loading Van Body Fabrication Service. With the support of our talented team of professionals, we are engaged in providing Fabrication Service. VRVS undertakes turnkey installation jobs for Fabrication and fixing of poly carbonate sheets that are used for wide range of applications and execute within the stipulated time frame. Starting range from 50, 000 rs. to 1 lkh rs. Steel Launching Girders, Heavy Lifting Systems. We have gained expertise in offering Fabrication Services. The Fabrication Services offered by us are highly appreciated for their timely execution and work quality. Offered services render effective results, due to which these are extensively demanded all across the world.